Jessica Jones Season 2 Trailer Is Here! 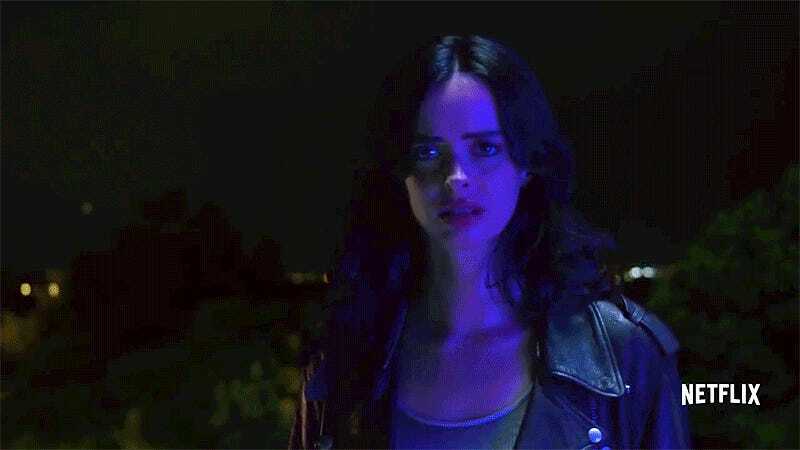 Jessica Jones is back with a new trailer for the new season, the shows second, on Netflix. This season looks like it’s going to delve into Jones’ past, going into how she gained her abilities and who else might also have received them. It looks like another soul searching, layered season this year, and frankly, I’m looking forward to an entire series of episodes about a leading woman, directed by women. We see expanded roles for a number of characters, especially Trish Walker (played by Rachael Taylor) and what looks like the return of the Purple Man (David Tenant – season 1’s big bad,) before it’s all over. Season 2 premieres on March 8th. Check out the trailer below, and tell us what you think! Next postLots Of Cable In The New Deadpool Trailer!